SEASIDE, FL (Nov. 8, 2018) — Students attending Seaside Schools, Inc. are officially among the “best” of the BEST … again. 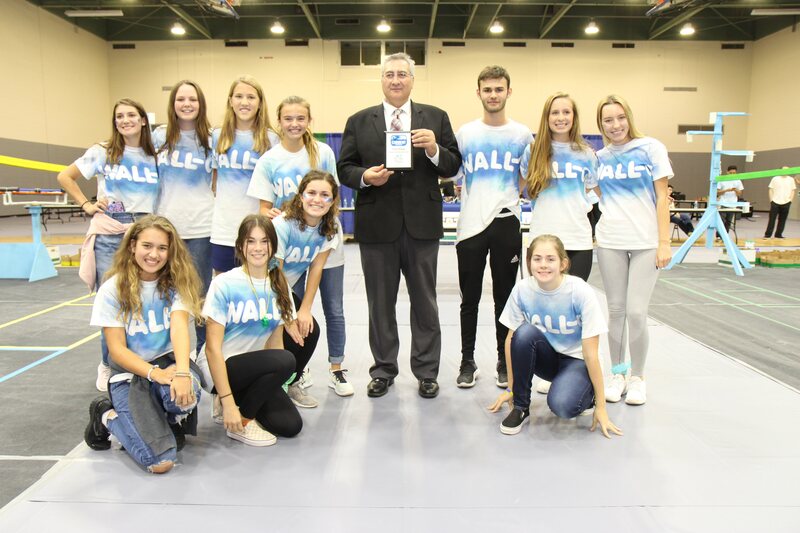 A team of middle school students from Seaside Neighborhood School and a team of high school students from Seacoast Collegiate High School ventured to the University of West Florida in Pensacola, Florida on Saturday, Oct. 28 to compete for the Emerald Coast Hub in the 11th Annual BEST (Boosting Engineering, Science and Technology) Robotics Competition. Seacoast Collegiate High School four awards: 1st place for Team Exhibit, 1st place for Team Interview, 1st place for Marketing Presentation and 2nd place for Engineering Notebook. The theme of this year’s competition was “Saving Sea Turtles by Cleaning up Plastics Polluting the Oceans.” Teams had 42 days to build a robot, documenting the engineering process along the way. Seaside Neighborhood School qualifies to advance to the regional championship at South’s BEST Robotics competition, which comprises 16 hubs from the Southeast. It will be one of 52 teams. The regional competition will be hosted at Auburn University Dec. 1-2, 2018. BEST Robotics Inc. (BRI) is a non-profit, volunteer-based organization whose mission to engage and excite students about engineering, science, and technology as well as inspire them to pursue careers in these fields. Each competing team is evaluated in several categories including robot design, performance, aesthetic, team spirit, sportsmanship, marketing and presentation. Each fall, more than 850 middle and high schools and more than 18,000 students participate in the competition. 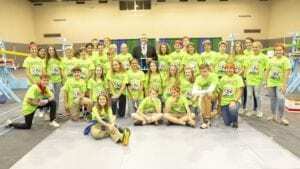 In both 2017 and 2015 Seaside was named BEST robotics award winner, a title they hope to recapture in 2018. For more information on Seaside Neighborhood School, call (850) 231-0396 and visit www.seasideschools.net. Established in 1996, Seaside School, Inc. is one of Florida’s first public charter schools located in Seaside, Florida. Seaside School is one charter school serving students on two campuses: Seaside Neighborhood School (grades 5-8) and Seacoast Collegiate High School (grades 9-12). Seaside School recently was honored by the Florida Department of Education as a “pioneer charter school.” Thanks to a dedicated staff, involved parents, and the support of local businesses and community members, Seaside School is consistently ranked one of the top performing schools in the state of Florida, recognized at the national and state levels for academic achievements. Seaside School is funded in part by Seaside School Foundation, Inc. which produces the highly anticipated annual Seaside Half Marathon and 5K Run each spring.